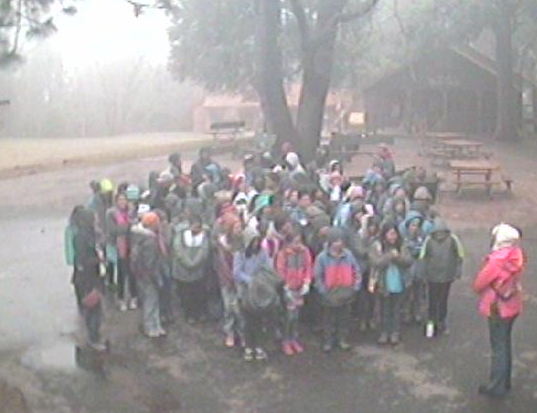 A few weeks ago, my 6th grade twin daughters were gearing up for a week-long science camp in the Southern California mountains. And of course, one of them came down with a nasty cold just a few days before they were scheduled to leave. It's that time of year when you don't know what to expect from the weather -- one day it's rainy and cold, the next it's warm and sunny. So whether you're 8, 80, or 38, you try to figure out how to boost your immunity and stay healthy. 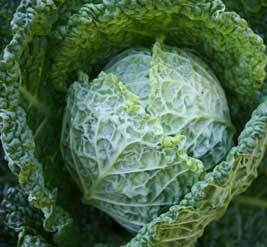 April is National Cabbage Month. Eating the right things can be especially tough when you're trying to lose weight or follow a particular diet (diabetic-friendly or gluten-free for instance). When my daughter was sick, I could have loaded her up with chewable vitamin C. But like most of us, she'd much rather munch on something tasty. Added vitamin C is a bonus. In those days before camp, she snacked on her favorite Cuties mandarins and cantaloupe slices. We also made the twins' favorite stir fry loaded with vitamin C-rich veggies like broccoli, cauliflower, and spinach served over Skinny Noodles Spaghetti. Before she jumped on that bus to leave, I could see my daughter was feeling better and on the mend. 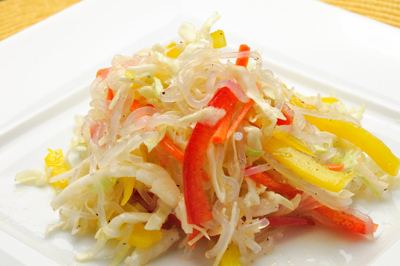 Since April brings National Vitamin C Day (April 4) and National Cabbage Month, it's a great time to try our Easy Summer Salad with Cabbage & Red Pepper. On busy Spring days, this quick side dish for baked chicken or grilled fish provides 93 percent of the recommended dietary allowance (RDA) for Vitamin C. Just 142 calories, 14g fat, 5g carbohydrates, 1g fiber, and 1g protein per serving, this salad is only 4 Weight Watchers Points. Eat something delicious, boost your immunity, and watch your waist all at the same time. Now that's what this mama calls multi-tasking!